On November 8, Lenovo Group announced its second-quarter results as of September 30, 2018. During the reporting period, the company achieved revenue of US$13.4 billion, a record of nearly four years. At the highest level, achieving double-digit growth for the third consecutive quarter. The second quarter results show that the Group’s operating income was US$13.4 billion, a new high in four years, up 14% year-on-year (if the exchange rate impact increased by 18% year-on-year), achieving double-digit year-on-year growth for three consecutive quarters, the highest in nearly four years. Single quarter turnover level. As the profitability of various businesses improved overall, the company’s second fiscal quarter: pre-tax profit reached $213 million, six times the same period last year, a substantial increase of 178 million US dollars. During the reporting period, the profit attributable to Lenovo shareholders increased to US$168 million, an increase of US$91 million from the previous month and an increase of US$29 million from the same period last year. Lenovo Group’s first fiscal year: revenues reached a record 172 billion yuan ($25.3 billion), an increase of 16% over the same period last year. At the same time, the company achieved a pre-tax profit of 2.22 billion yuan ($326 million) in the first half of the year, and net profit attributable to shareholders reached 1.67 billion yuan ($245 million), a year-on-year increase of 268%. 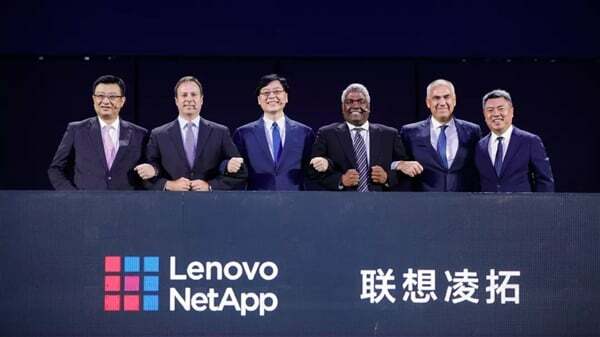 In May 2018, Lenovo Group merged its mobile phone and PC business to form Intelligent Devices Group (IDG), which aims to open up PCs, smart phones and other smart devices to form a complete and open intelligent Internet platform. During the quarter, IDG’s personal computer and smart device business group’s turnover reached 10.2 billion US dollars, up 18% year-on-year, surpassing 10 billion US dollars in turnover for the first time. During the reporting period, Lenovo PC regained the global market sales champion. Industry organization data shows: In the third quarter of 2018, Lenovo is not only the world’s number one PC sales, but also has a market share of 24%, and its profit margin has maintained a 5% industry leading level. It is worth mentioning that in the process of the soaring performance of Lenovo Group, investor confidence has been rising. From May 2018, Lenovo Group’s share price has risen by nearly 60%, becoming one of the world’s most powerful large-cap stocks. As of November 7, Lenovo Group’s share price closed at HK$5.58 per share.